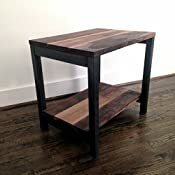 The Paloma End Table is made from thick, rough cut reclaimed black walnut planks and industrial steel. A top and bottom shelf (5'' from floor) offer ultimate versatility and usage. 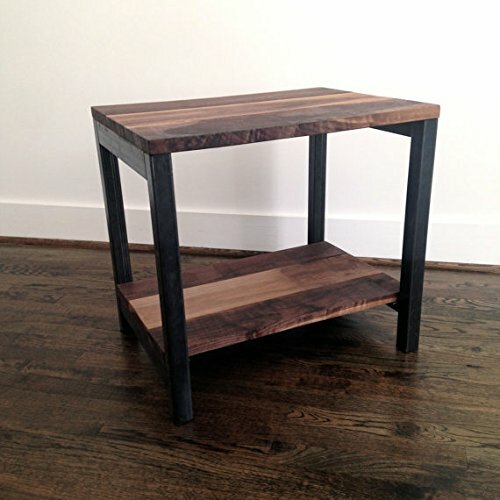 Each end table is one of a kind. • Made from reclaimed wood planks - one-of-a-kind! Wood is approx. 1'' thick. • Steel frame is 1.5'' square tube. • Some assembly required! Tools needed: screwdriver / power drill recommended. Ships with screws.